(!) If the issue is with Acronis Bootable Media, please see Acronis Bootable Media Does Not Detect HDD, RAID or NIC. (!) If the issue is with Windows 2000 machine, make sure it has been rebooted after the Acronis product installation. For Windows 2000, reboot is required in order for the product to function properly. 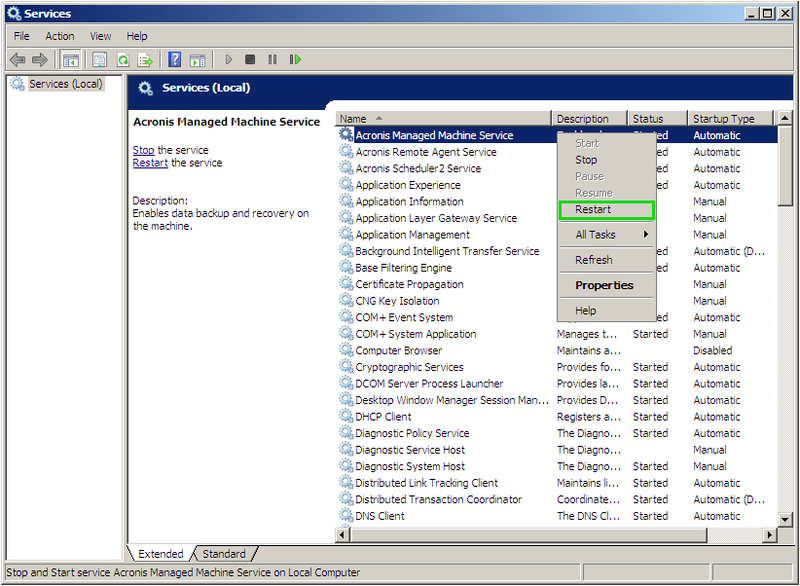 When running an Acronis product in Windows, it cannot find any hard disk drives. The most probable cause is that the problem drive does not have a valid MBR or a third party software is blocking the access to hard disk drives. (!) Acronis Disk Director 11 Home, Acronis Disk Director 11 Advanced and Acronis True Image Home Plus Pack support GPT disks. If you are using Acronis True Image or Acronis Backup & Recovery, check if the disks are detected in file/folder backup (or My Data in Acronis True Image Home 2010, or File backup in Acronis True Image Home 2011) as opposed to full disk/partition backup mode (or My Computer in Acronis True Image Home 2010, or Disk and partition backup in Acronis True Image Home 2011). (!) You will need to reboot the machine to finish the installation. (!) Please note that all the data from such disk is to be transferred to some other location not on this drive, since the below actions will erase all the data from the disk in question. -> and locate the number of the problem disk (let us consider the problem disk is Disk 1). 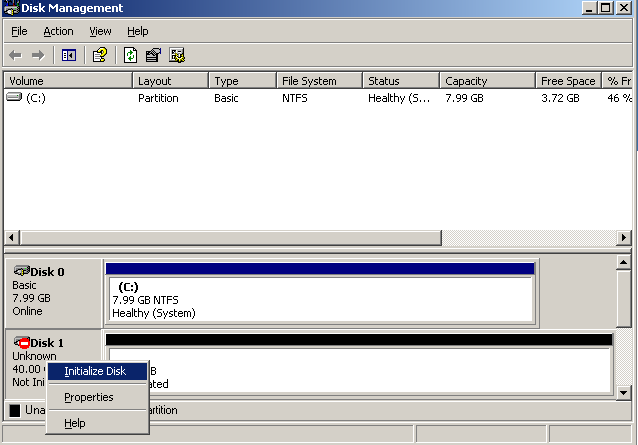 -> this will select Disk 1 as the target, and diskpart will run further operations with this disk. -> this will erase all disk formatting and overwrite the existing MBR with zeroes to make the disk uninitialized. Contact Acronis Customer Central with reference to this article and all collected information.